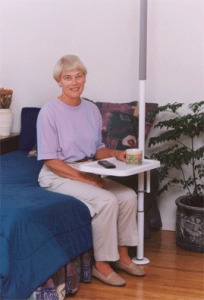 Ease of Installation: Simply snaps onto SuperPole™ to provide the convenience of a bedside table or overbed table. Utilizes minimal floor space. 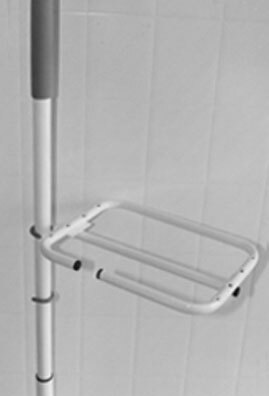 Ease of Use: Tray is easily removable and its slim profile allows for easy storage and cleaning. Non-slip pad prevents slipping of items on tray. 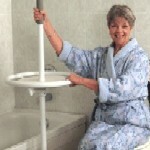 Flexible: Occupying no floor space, the SuperTray™ provides table space when required without a permanent installation. 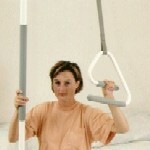 Excellent for meals, reading materials, medications, or anything desired at arm's reach. Versatile: Clean and modern design blends with any home decor. 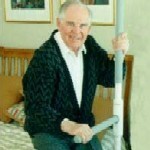 Solid: Sturdy all steel support frame simply attaches to the SuperPole™. 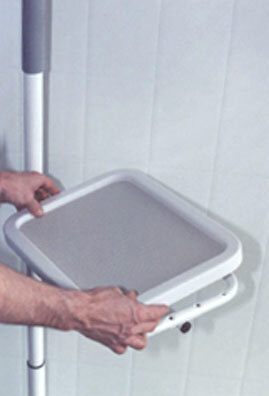 Removable: The plastic tray of the SuperTray™ can be removed from the metal frame and used to transfer meals from the kitchen.